You were sitting at your desk working and listening to WNYC’s The Brian Lehrer show and on comes a segment, Can Local Media Be Survive? 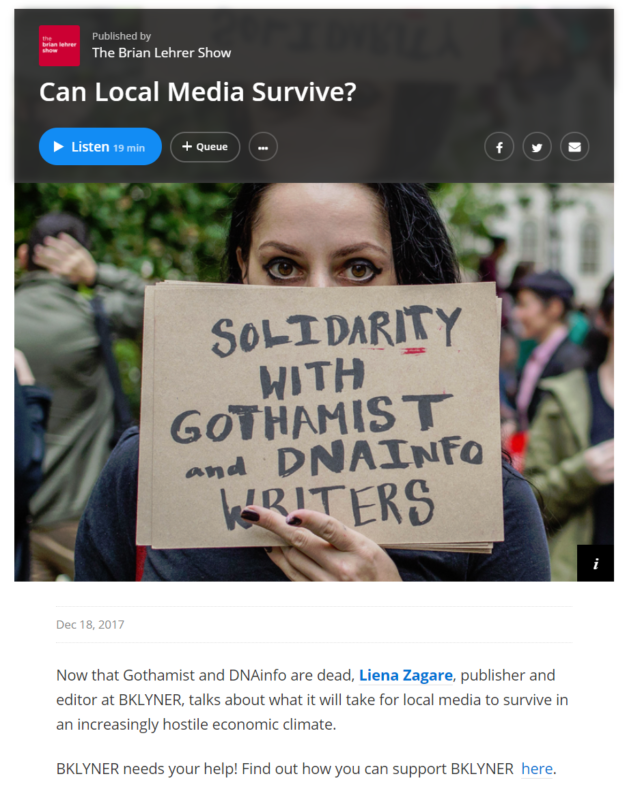 Brian Lehrer invited Liena Zagare, Publisher/ Editor or BKLYNER to talk about BKLYNER, the role local media plays and why it is important for the larger community to support local news. If you missed the segment, have a listen.